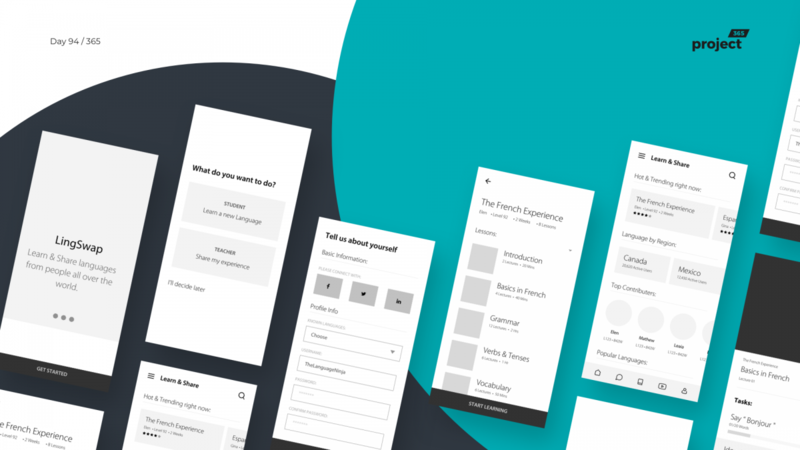 Brief: To design a mobile platform to let users learn and share languages from around the world. I’ve been a huge fan of platforms like Skillshare, KhanAcademy, Coursera, Udemy etc. It allows people from all over the world to learn, teach and share knowledge with ease. I’ve tried to incorporate that aspect of learning and sharing with Languages (and culture too) with this app called “LingSwap”. With LingSwap, you can either start teaching a random stranger your favorite language or you can learn from a random stranger. This is not going to be a purely video-based learning experience. Users can interact with the mentors and live chat/video call while they finish their courses. Gamification, leveling up as they learn a new skill or finish a course.